Amid holiday gatherings and warm greetings, germs may feel right at home. Seasonal illnesses are easily passed around this time of year. One such illness is respiratory syncytial virus, or RSV -- a highly contagious, but common, virus that will affect nearly 100% of children by the age of two. Babies who have contracted RSV may have symptoms similar to the common cold or flu, including coughing, sneezing, and runny nose. But these mild symptoms can easily develop into a more severe infection in high-risk infants, experts say. Babies born prematurely (earlier than 35 weeks gestation) are considered to be at a greater risk for severe infection. In fact, research has shown that preterm infants are twice as likely as full-term infants to be admitted to the hospital for RSV-related symptoms. Other individuals who are at a higher risk for infection include children born with heart or lung problems or those with weakened immune systems. For these children, severe RSV can lead to serious infections like bronchiolitus and pneumonia. Why? Pittman explained that the body’s natural response to these infections is to secrete more fluid in the lungs, making it more difficult for a child to breathe. This may cause the child to start wheezing. “The only way to determine if a baby has RSV is with a rapid RSV test that can only be administered by a health care provider,” Pittman added. 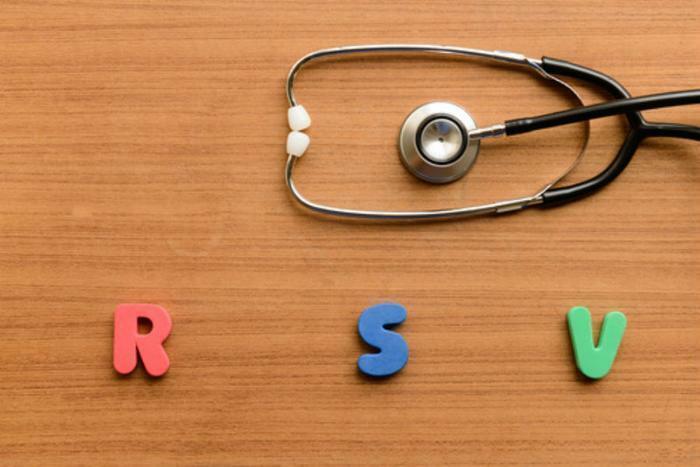 If it is determined that a baby has RSV, parents and doctors can begin treating symptoms of the virus in order to ensure that the child’s lungs stay healthy. Wash hands. Be sure to wash the child’s hands with soap and water for 20 seconds or use hand sanitizer after sneezing or coughing and before eating. Cover coughs and sneezes. Pittman suggests covering sneezes with a tissue, then disposing of the tissue immediately. Don’t share utensils. Use clean, sanitary tableware. Stay home. Keep germs from entering communal spaces by staying home. Because RSV spreads easily from child to child, attending day care or having school-aged brothers or sisters can increase a child's risk for contracting the virus. Parents of high-risk infants may want to keep their baby away from crowds during outbreaks of RSV. “Keeping your baby away from crowds and people who are sneezing, coughing or have not cleaned their hands can help mitigate some of the RSV risk to your baby," Pittman says.